Grown for its charm and style the travelers palm is a tropical beauty that is native to Madagascar. History has it that this palm got its name from travelers who traveled long distances which became thirsty and would use a knife or sharp object slice into the leaves drinking the water that was stored. It is said that the travelers palm can store up to half a gallon of water. Now that’s a lot to quench once thirst traveling long distances, especially during the summer time. The travelers palm can be mistaken for a large banana tree to the inexperienced but the unique design along the midsection is a clear indication that this is not a banana tree. The travelers palm can grow very large therefore sufficient space should be provided when installing this plant. What also makes the travelers palm unique is the creamy white flowers that it produces. Many years ago I was employed as a landscape foreman on an estate that sat on a 2 archer property. Besides the many trees, ornamental plants and grasses that needed to be maintained the travelers palm also graced the garden area. There were many of these palms which were huge and also provide some shade from the summer’s heat. But how do we grow and care for this tropical giant? want to find out then continue reading as we take our journey on the growth and care of the travelers palm. Install your travelers palm in a sunny location. Provide plenty of room because this tropical beauty can reach heights anywhere from 40-50 Ft. The soil of the travelers palm should be a soil that is organically rich although it will tolerate sandy soils. When watering, the soil should be moist, not waterlogged. Apply a fertilizer that is formulated for palms 3 times per year except for the winter months and fertilizer as directed on the manufacturer’s label. There are no known insect pests that cause injury to this tropical beauty. The travelers palm is also considered to be disease resistant. Is it possible to grow travelers palm in containers? the answer to that depends largely on the size of the palm and the container? While it may not be a good idea to plant these giants in containers it is possible but keep in mind that it is best to install these garden beauties in the ground to see their true beauty. Installing your travelers palm in the ground will allow roots to run also taking up soil nutrients. So for a time, I will keep growing in a container and as it matures transfer to its permeant area. When growing your palm from a container using a soil that is rich in organic but has good drainage is ideal. The container should have drain holes to allow excess water to drain through, the container should also be placed in an area that gets plenty of sunlight. The soil should be kept moist and not waterlogged. Fertilize as directed above and remember to read and follow the manufacturer’s label for best results. Deadhead or removed flowers once the bloom has passed with a pruner. Leaves which are overgrown and that may become a security hazard should be removed also. 1. Because of the height to which this palm grows is exposed easily to winds and other atmospheric conditions, the leaves of this exotic palm tend to ripe easily but strange as this may sound it is this ripping off the leaves that adds to its unique appearance. As mentioned earlier, the leaves contain a considerable amount of water. 2. A mature travelers palm can bloom it seems endlessly in tropical regions. 3. The travelers palm is not a true palm but belongs to the family of the banana tree even though it is not a banana tree. 4. There is a saying that if you stand in the front of travelers palm and make a wish it will come true. 5. When installing these palms install 9-10 ft from your house. The travelers palm is very exotic and can add that touch of class. I love the uniqueness of this palm with its tropical look which can lighten up your garden. Easy to grow and maintain the travelers palm is a tropical wonder that has gained the respect of so many homeowners so if you are looking for a palm that will bring beauty and charm then the travelers palm is the plant for you. I just love traveler palm trees, they look very beautiful. I always wanted to grow them on my small garden but didn’t know how to do it. I am not a professional garden neither have a budget to hire a gardener. But your guide is really helpful and I think I can grow them on my backyard too. These plants are so unique in how they grow. It is good to DIY or do it your self, that way you can save a lot of money. So glad that my guide can help you do just that. Please let me know how it goes and wishing you all the best of success. Hello, so happy to hear from you and you have really made my day I feel so good. So happy that I could help and it feels so good to know that you are enjoying my work. I will continue to do my best to keep you updated in this industry. All the best to you, thanks again and have a wonderful day. Thank you for sharing ¨TRAVELERS PLAM PLANTING CARE¨ I tried two experiments both successful.I live in Florida and got send the end of October/18. I did a moist towel wrap for 3 days,and then planted in a peat moss, verima, compost blend. Used small jiffy dome and germination took just over 45 days. Early January at a 20% sprout rate which is fine for me. I expect to get near 50% very soon. The seeds are good and ordered more from the seller.Last Feb.13, I received 10 pcs seed and germinated on Feb. 17. This time I soaked it in warm water over night and put it on seed bed. I expect one of the seed to start sprouting in mid-April. This time I´ll transfer it in one of my small pot and wait for the remainders to sprout. Hello so happy to see you and thanks so much for sharing your knowledge with me, this is really great information you are imparting. 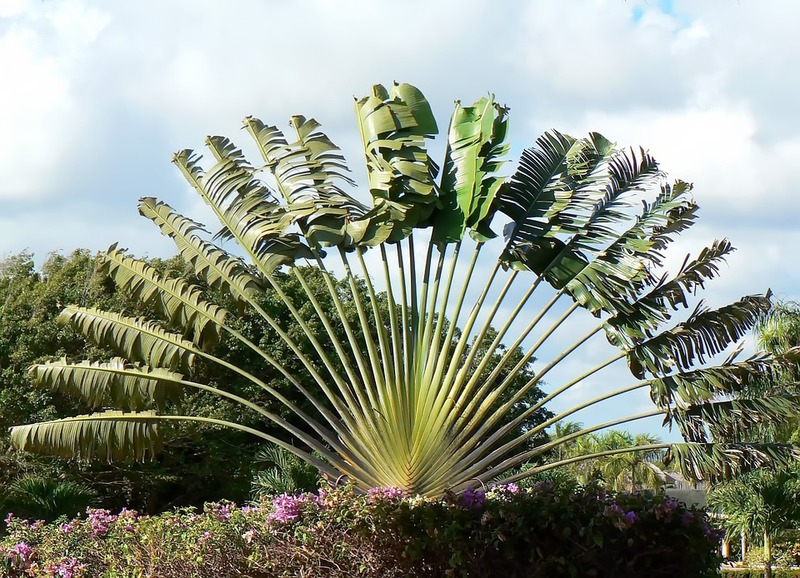 The travelers palm is pretty amazing and does work wonders in the garden and landscape. Wishing you all the best with your garden project. Have a good day.